The BBMP commissioner sent a note proposing an increase in property taxes. 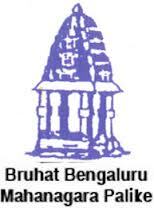 Bangalore City Corporation (BBMP) is planning to increase property tax by 15%. cent as the block period of the Unit Area Value system comes to an end this March. Meanwhile, it is said that the BJP councillors have been taken to task by Deputy Chief Minister R. Ashok, who is also the city in charge, for proposing such a “sensitive subject” ahead of the urban local body and Assembly elections, apprehending it would dent the party’s prospects. on residential properties and 25 per cent non-residential ones. Karnataka Municipal Corporation Act, property taxes can be revised every three years. “BBMP has not taken public opinion on hiking the property tax. There is lack of transparency maintained. BBMP must cut down on its various unwanted expenses, and thus, save money for itself, and not by collecting more tax,” Opposition leader in the BBMP Council M K Gunashekar said. He has written to chief minister Jagadish Shettar requesting to stop any kind of proposed hike in property tax.